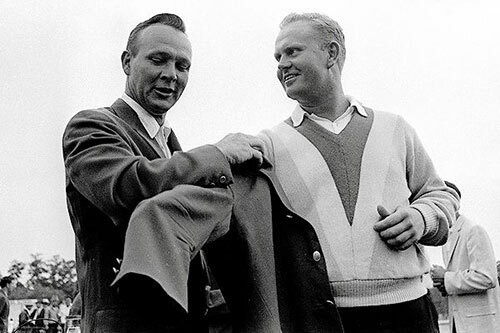 On a day when Jack Nicklaus was lauded as the gold standard in golf and sports, the game's greatest champion received a gold medal to go along with it. In a ceremony bathed in emotion, the Golden Bear added a fitting honor to his lifetime of achievements--a Congressional Gold Medal--on Tuesday, March 24, in Washington, D.C. 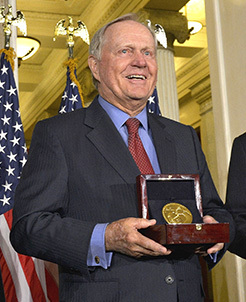 Recognized for his contributions to the game of golf and his service to the community and the nation, Jack Nicklaus received the honor in a special ceremony in The Rotunda of the U.S. Capitol. A decade separates them, but a Green Jacket links them. One was a performance 50 years ago that was dominating--masterful you might say. 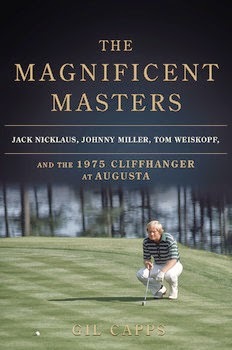 The other, 40 years ago, is arguably one of the great major championship duels in history, or as author Gil Capps appropriately dubbed it in his book, The Magnificent Masters. This year and this week mark two significant milestone anniversaries for Jack Nicklaus: The 50th or Golden Anniversary of his record-setting Masters victory in 1965; and the 40th anniversary of the Golden Bear's thrilling 1975 win, in which Jack emerged from a down-the-stretch duel against Johnny Miller and Tom Weiskopf to don the fifth of his record six Green Jackets. After all these years--including 43 starts at Augusta National, and his sixth and final legendary win in 1986--the Golden Bear's love affair with the Masters is anything but over. This year, Jack Nicklaus will participate in the tournament's family-oriented Par 3 Contest, with 15-year-old grandson Stevie Nicklaus as his caddie. As has become tradition, Nicklaus will play with long-time friend Gary Player. But missing this year will be the final piece of The Big Three--Arnold Palmer. Battling a shoulder injury since December, Palmer will not play in this year's Par 3. Taking his place is two-time Masters winner Ben Crenshaw, who, at age 63, will make his final Masters Tournament start this week. Abdul Aziz wanted to be the first to play the new Jack Nicklaus Signature Golf Course, Trump Golf Links at Ferry Point. It had, after all, been 52 years since the last public golf course was opened in New York City. 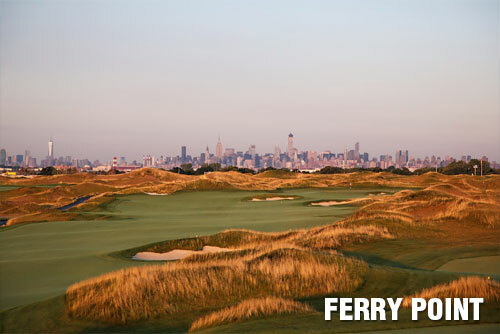 So Aziz, from Queens, was on the phone the minute tee times were first available for booking last month, and he scored the 7:40 a.m. spot for Wednesday's long-anticipated opening of Trump Golf Links at Ferry Point. 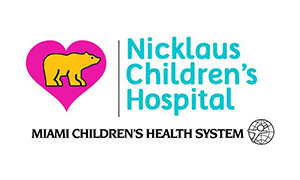 Originally founded as Variety Children's Hospital in 1950, Miami Children's Hospital adopted its new name, Nicklaus Children's Hospital, on March 20, after unveiling a new logo alongside Jack and Barbara Nicklaus in conjunction with the hospital's 65th anniversary. In addition, the hospital's eight outpatient centers also assumed the Nicklaus name. Allen Edmonds, the U.S. premium men's shoe manufacturer headquartered in Port Washington, Wisconsin, is proud to announce its newest line of golf shoes in collaboration with esteemed champion Jack Nicklaus. The Jack Nicklaus Signature Collection will feature four brand-new styles, inspired by the names of some of Nicklaus' most iconic courses: the Anaconda; the Bearpath; the Muirfield Village 2.0; and the Renegade. Each respective style will be offered in two colors.